A billing clerk is a financial professional who is accountable for generating and issuing invoices and credit memos. Most accountants start out their careers as billing clerks, according to the Bureau of Labor Statistics. The two primary duties of billing clerks are creating bills and invoices. Some types of companies require payment at the time of purchase, such as retailers and restaurants, but others will invoice clients afterwards, such as insurance and health care companies. Other companies, such as maintenance and manufacturing firms, will use a work order system. Billing clerks in all of these company types must processes different types of bills and payments. To illustrate, product invoices will detail the individual prices, taxes, quantity and freight charges of every item. These billing clerks will use accounting software to bill customers through verifying the numbers and sending electronic bills to the customers. 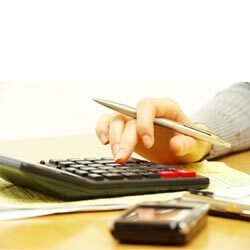 The invoicing process can be quite complex because there are different types of invoicing surcharges and discounts. A health care-based billing clerk will perform data entry duties for hundreds of clients. They carefully code and document charges entered in patient’s accounts. Accuracy and timeliness is critical for correct and complete billing claims. Every day, they close and balance the posted invoices and review all postings before claims submissions. They enter cash receipts and the corresponding correct allocations to department accounts. Every month, they input ancillary services so they can assign them to health care provider accounts. They must close and balance all accounts at the beginning of every month as well as review monthly reports against standard statistical tables. They use proprietary software programs to send electronic claims, such as through the Medi-Cal and Medicare systems. Health care-based billing clerks handle workers’ comp, private insurance and hospital billing. Billing clerks may have an entry-level job, but they are responsible for thousands to hundreds of thousands of dollars. They must have the ability to work under pressure, handle multiple duties and efficiently work in a timely manner. They must have a working knowledge of accounting standards and practices. They will use many types of internal payer codes, such as standard GAAP codes, but also external payer codes, such as health care service billing codes. Most billing clerks start out with a two-year or a high school degree with at least one year of accounting experience. Billing clerks must be comfortable working in front of a computer all day while dealing with complex sets of data. Depending on the industry, there are many types of billing clerks. For starters, billing clerks who work in gaming or gambling establishments deposit money, count funds, reconcile daily transactions and sell tokens and tickets to customers. Purchasing clerks work in logistics departments and process product requests, prepare purchase orders, keep track of inventory and provide order updates. Payroll clerks track and post employee work times and associated payroll data. They verify and document attendance and pay adjustments. Brokerage clerks who work in investment firms will write orders for purchases, distribute securities, calculate taxes and document daily transactions. Insurance clerks process insurance claims and adjust policies per customer requests. Billing clerks usually have an associate’s degree with an accounting specialization, which includes classes related to bookkeeping, business administration and payroll and business taxes.